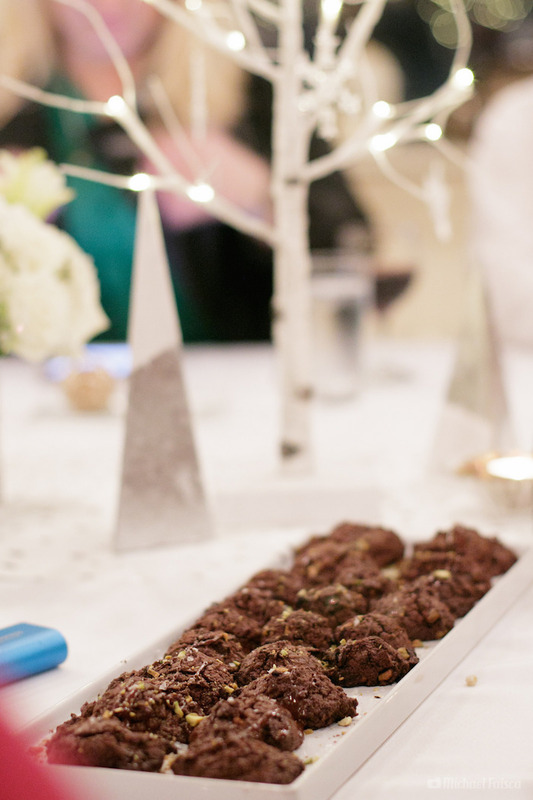 The perfect cross between brownies and cookies, these chewy dark chocolate cookies studded with pistachios are an awesome treat for holiday parties (or for those days when you're craving chocolate like it's nobody's business!). 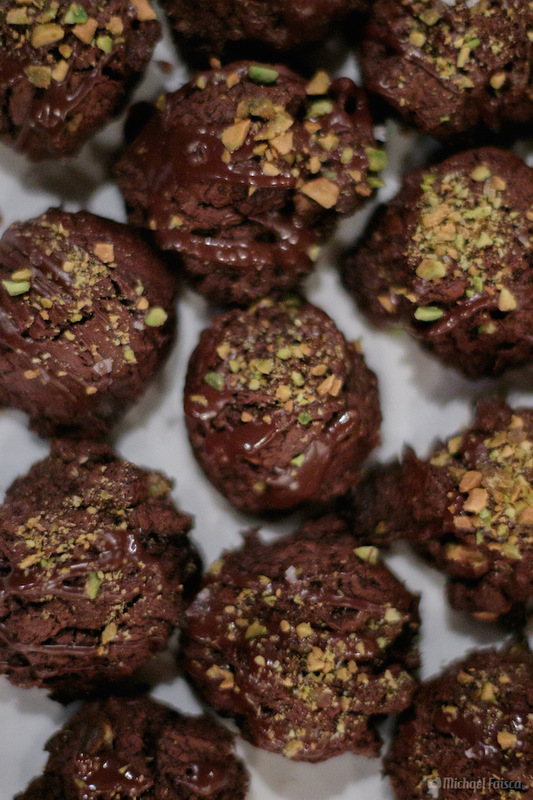 This recipe came from the Wonderful Pistachios event that I attended last week. Click here to read more about the event, or scroll down for the easy cookie recipe. Whisk together flour, cocoa, baking powder, and salt. Set aside. Combine chocolate and butter in a bowl and melt in the microwave about 1-2 minutes, stir until completely melted. Beat eggs and sugar in an electric mixer about five minutes, until thickened and light. Pour in chocolate mixture. Stir in flour, just until combined. Fold in 1 1/2 cups pistachios, by hand. Drop heaping tablespoons of dough, about 2 inches apart, onto prepared baking sheets. Bake 10 minutes, until cookies are puffed and cracked on top. Transfer to a wire rack to cool. Chop remaining pistachios finely. Melt bittersweet chocolate and drizzle over cookies. Garnish with pistachios and sea salt. Serve.